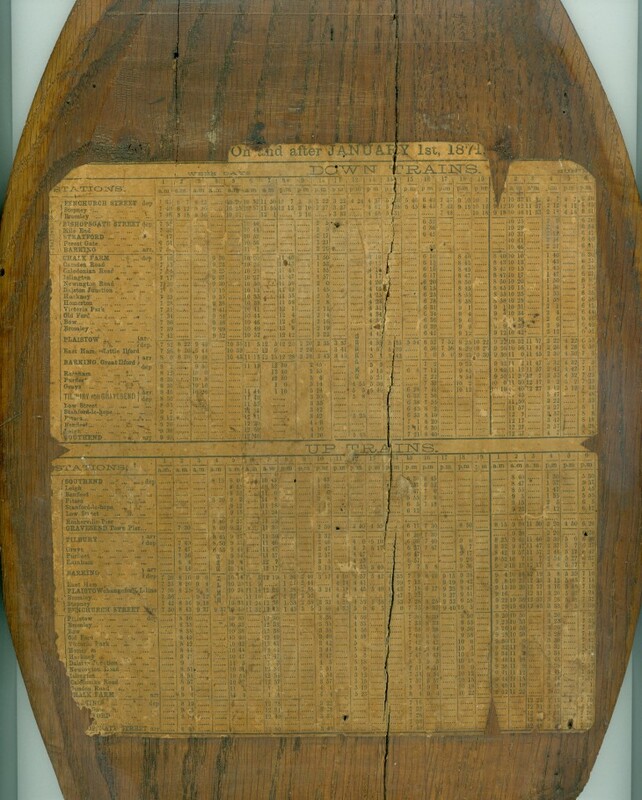 The original train timetable dated 1871, pasted to back of cupboard door. We publish this month the last instalment of the article by the Rev. 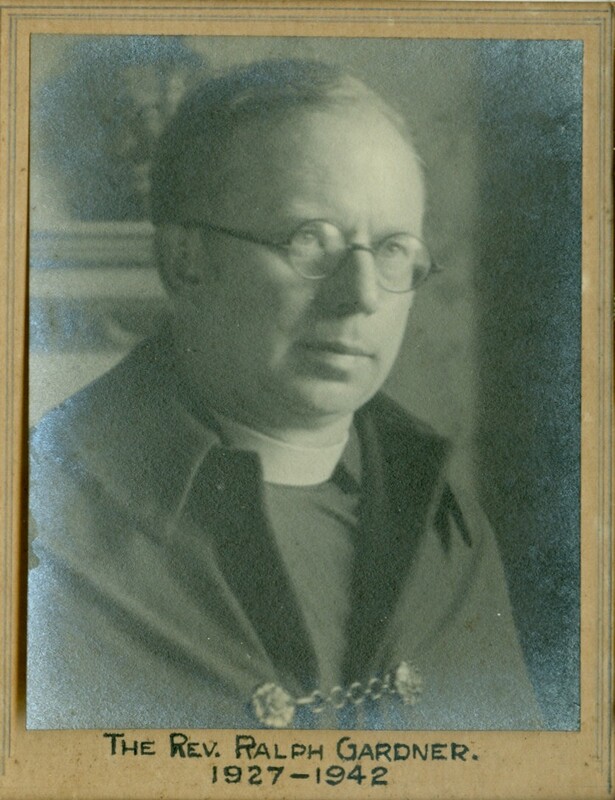 Ralph Gardner, a former vicar of St. Mary’s. This month’s excerpt is concerned with the Vicarage. The House is a rather lovely stone building; not overlarge. When first built in 1852 – for a bachelor vicar, John Aubone Cook, who displayed great courage and devotion to his flock during a cholera epidemic soon after his arrival – it was smaller. Additions were made by the later Vicar who had a large family; but even so it was not intimidating. The distance from the Church – a quarter of a mile down a steep hill – was a disadvantage; but we were young, and we never bothered much about that. Indeed, the comparative remoteness from the centre of population was not without compensations, as it discouraged the frivolous visitors who can waste so much of a parson’s time. My wife, who, if anyone, had cause to complain of either the house or its situation, came to love it all so dearly that, after we left in 1942, she would neither visit nor look at it on the occasions when we returned to the parish for a brief stay. The grounds covered nearly 3 acres; and their beauty and variety remained for us a continuing delight. 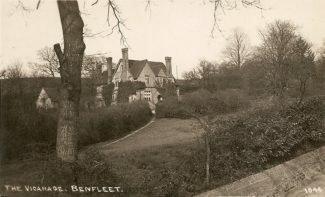 They fell naturally into four parts; the meadow, with some fine elms below near the gate, and a magnificent chestnut tree in the middle; the kitchen garden – with a view of the Estuary; the lawns, one, steeply sloping by the house, and one by the drive to the main gate; and the orchard, which became, by reason of some mixed tree-planting, a wood. Mabel and I had both grown up in a London suburb and neither of us had ever lived in the country. Benfleet Vicarage and its garden were, for both of us, lovelier than anything we had ever dreamed of living in. During my 15 years there I planted a number of trees; and twice I managed to save some that were threatened with destruction. 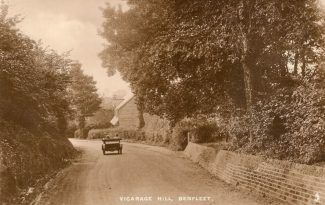 In 1927 there was no footpath on Vicarage Hill adjoining the Vicarage grounds. 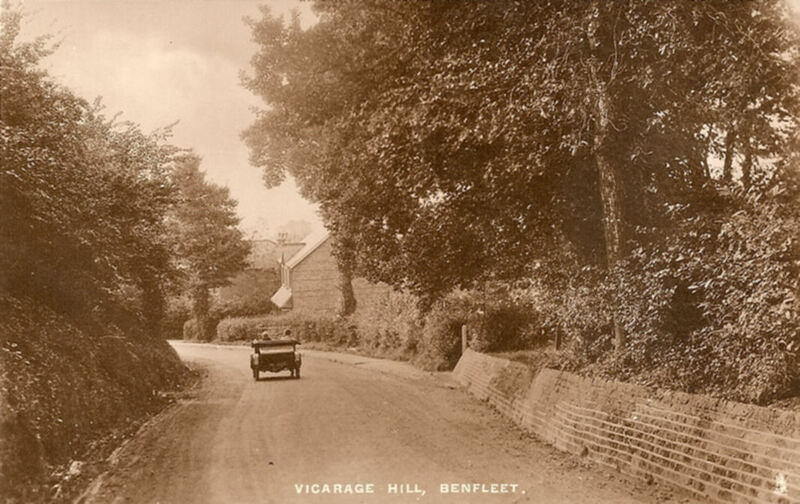 About 1930 the County Council planned to take a strip of the frontage for a footpath, and their plan entailed the cutting down of all or most of the trees along the border. I wrote to the Council for the Preservation of Rural England, and they sent along a delightful old man who seemed to know more about trees than anyone else in the world. After examining the affected border he put in a report so strongly worded that the Council modified the plan, and incorporated the threatened trees into it. They remain standing to this day. The most difficult problem connected with the Vicarage was the kitchen garden. There was more than half an acre of it, and even if I had been a keener gardener than in fact I was, it would have been far too big. But I found that quite a lot of the older cottages in the parish had very small gardens, as was often the case in the country, where, one would think large gardens would be the rule. I soon discovered several men who were pleased to take over strips of the kitchen garden for their own use. This meant that the whole space was soon tidied up and made productive. I charged no rent, and the men showed their appreciation by keeping us well supplied with vegetables from their plots. During the winter of (about) 1931 there was a violent wind-storm on a Sunday night. I recall being in the front sitting-room that evening after Church and hearing the wind roaring and whistling about the house. Suddenly the house itself seemed to shake momentarily, and my impression was that a particularly violent gust had caught it squarely on the side. We hurried upstairs, and found most of the ceiling down, with the rafters showing through. Investigation showed that half of a large tree standing by the stables had been broken off by the wind and had fallen across the roof. I forget how many tiles had been broken, but it amounted to hundreds. The repair work was done by old Tom Rowe, who carried out all the Vicarage work until his death in the late thirties. He was a tall, quiet native of Benfleet, one of those slow, steady, utterly conscientious workmen whom one found in ancient country parishes, seeming to belong more to the time of Victoria than to that of George V. He was a skilled boat-builder, and I remember watching the gradual shaping of a sailing dinghy that he was building in his garden at the back of his Endway cottage. On the right hand side of the stone surround of the drawing-room fireplace there was a curious depression. We were told (I cannot recall by whom) that it was worn by the feet of John Aubone Cook, who used to sit by the fire at night with his feet against the stone. This was doubtless a legend. Near the fireplace there was a cupboard let into the wall, and on the back of its door was pasted a railway timetable, belonging I think to the end of the 19th Century. We noted that the timing of the fast trains was, if anything better than those of our own days. 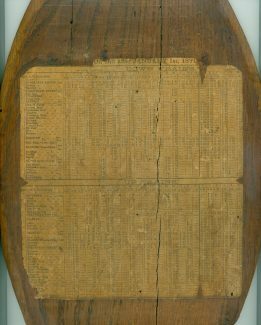 After publication of this article, Mr Terry Babbage unearthed the door to which the timetable was pasted, as referred to in the above paragraph, which he has allowed us to copy and add to this page.